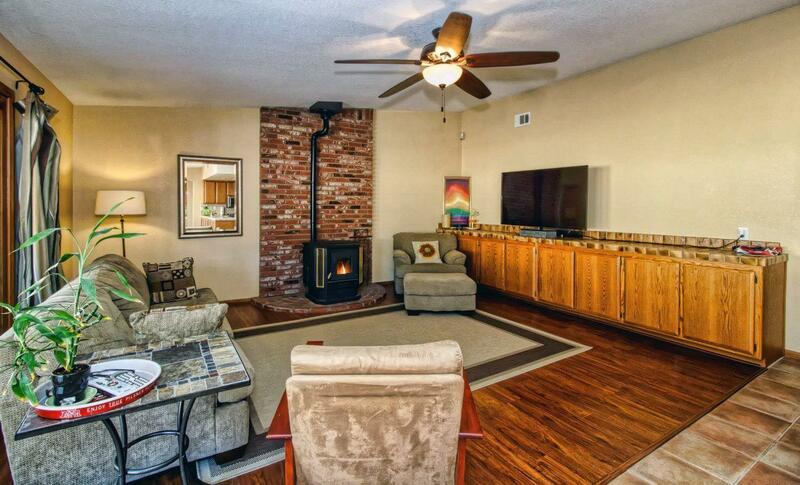 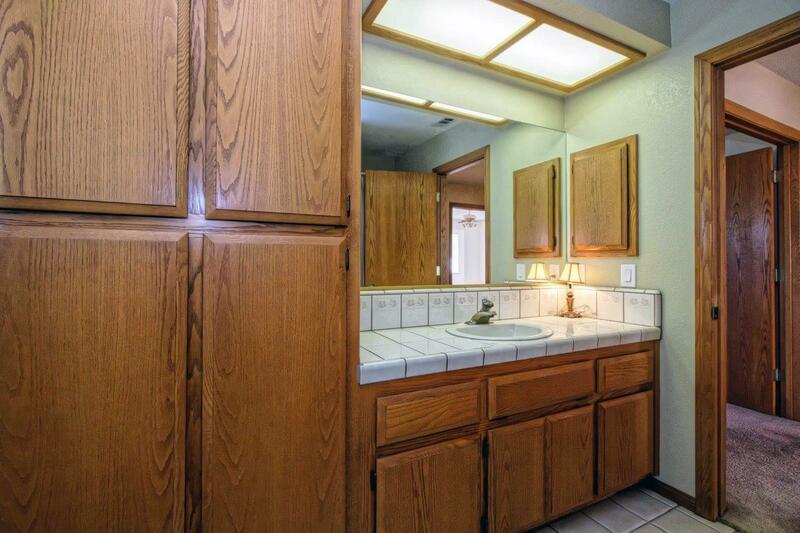 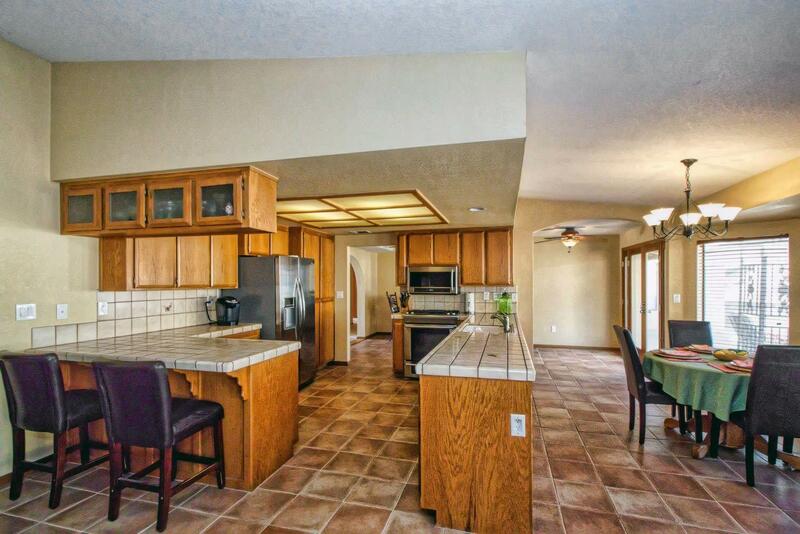 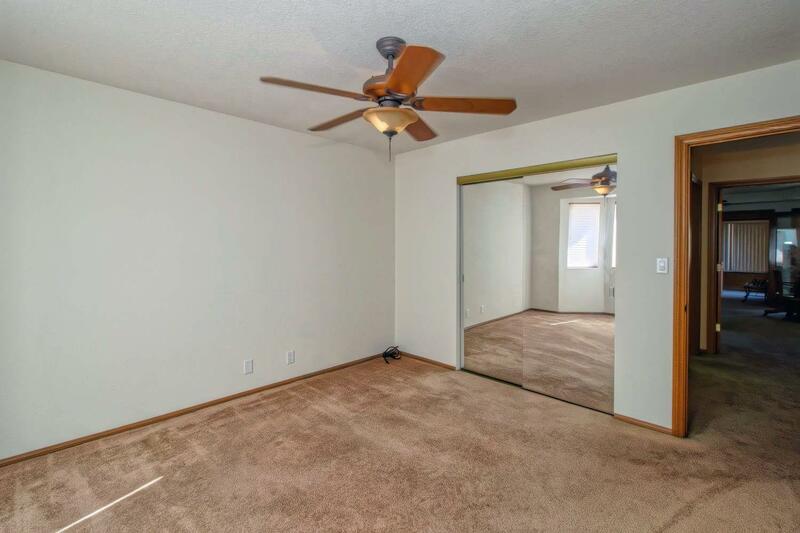 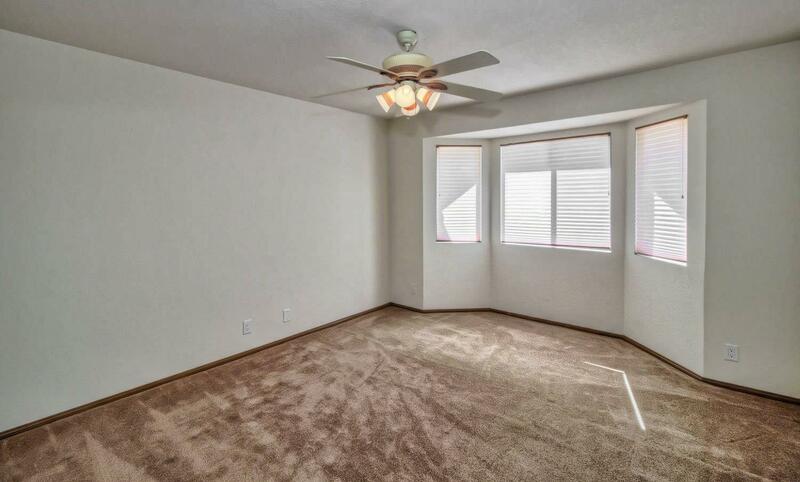 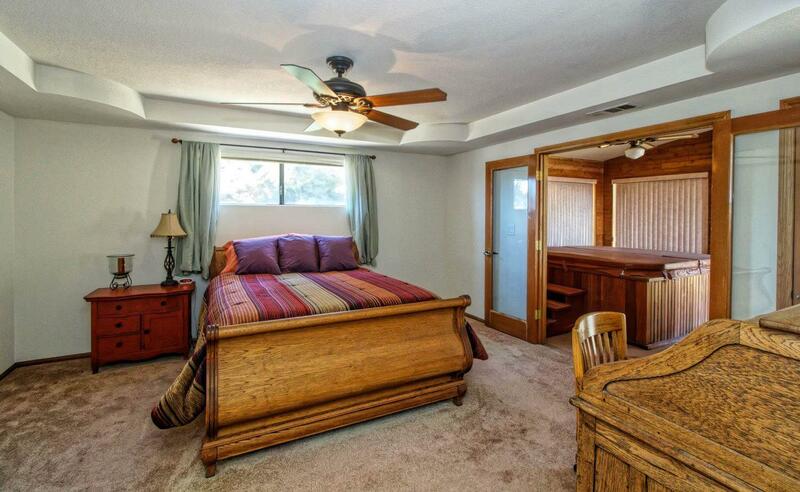 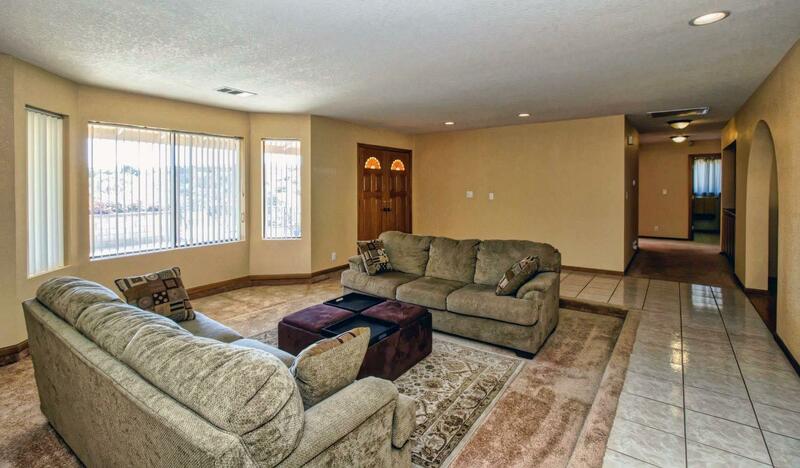 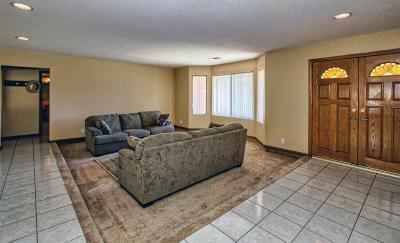 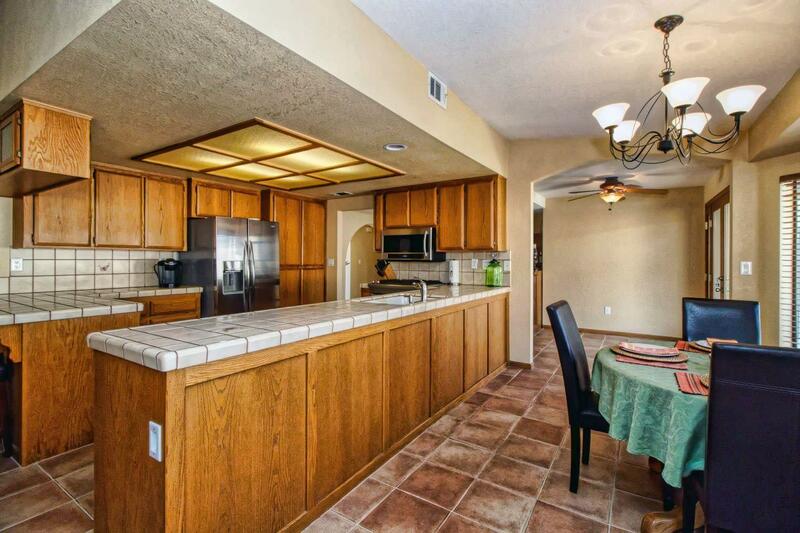 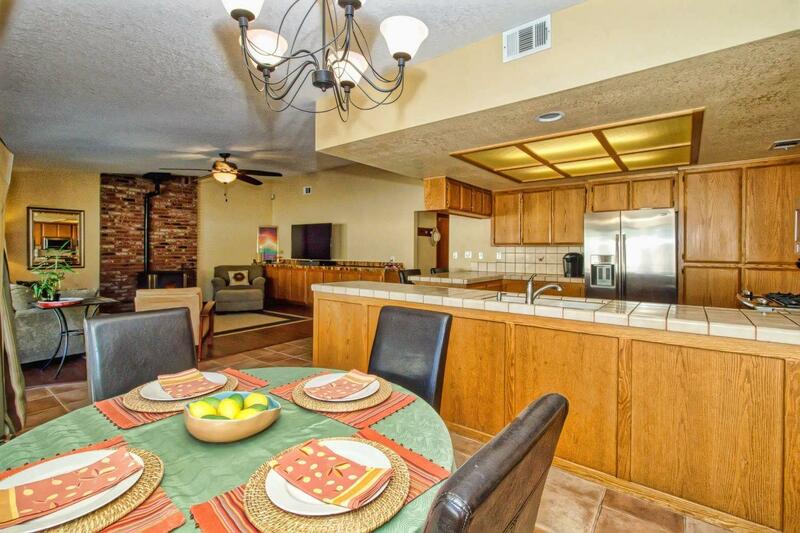 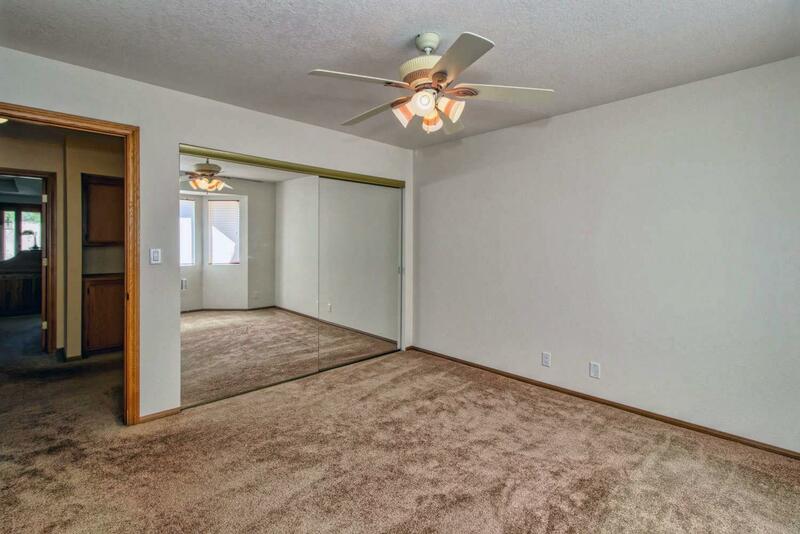 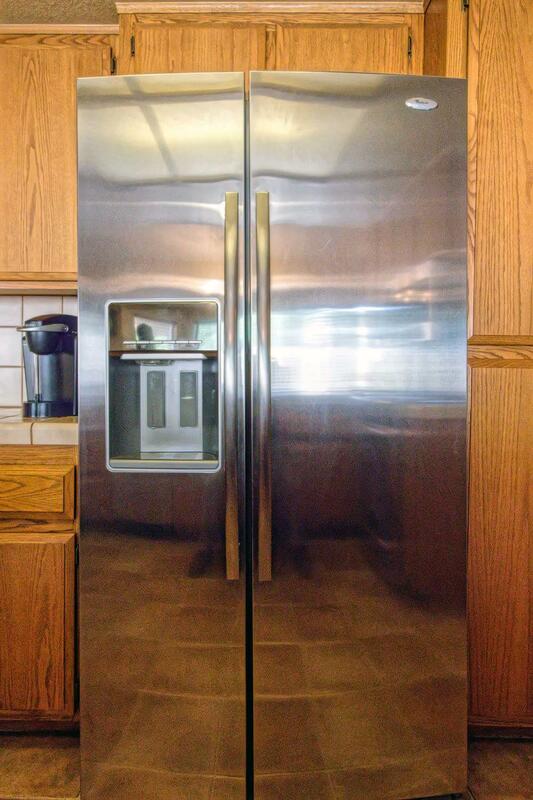 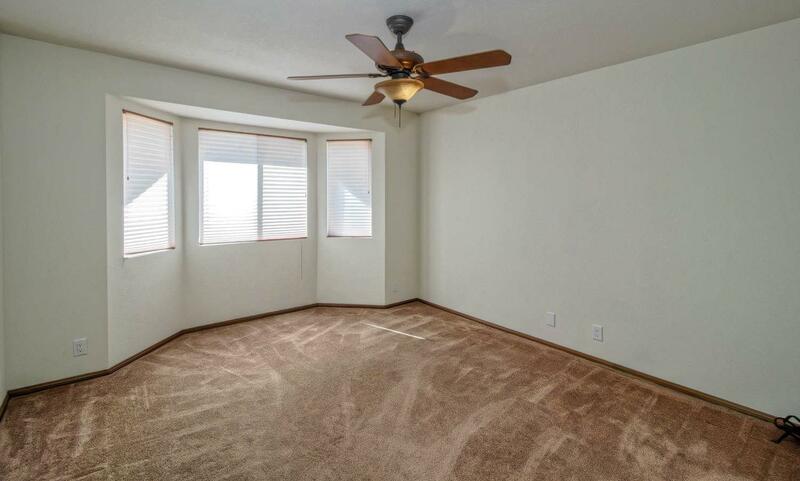 Oak Hills living, turn-key home, short drive on dirt, near 15 freeway, COMMUTER'S DREAM! 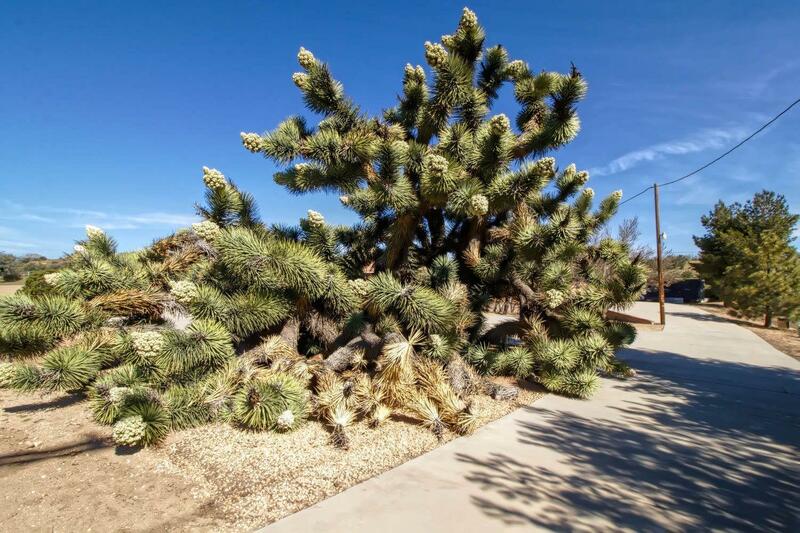 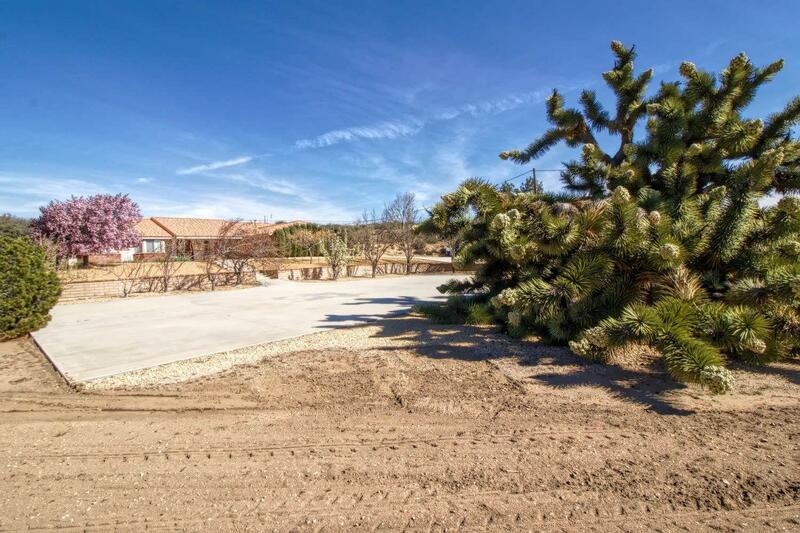 Meticulously maintained oasis; you are greeted at the electric gate by a magnificent Joshua tree and sweeping cement driveway. 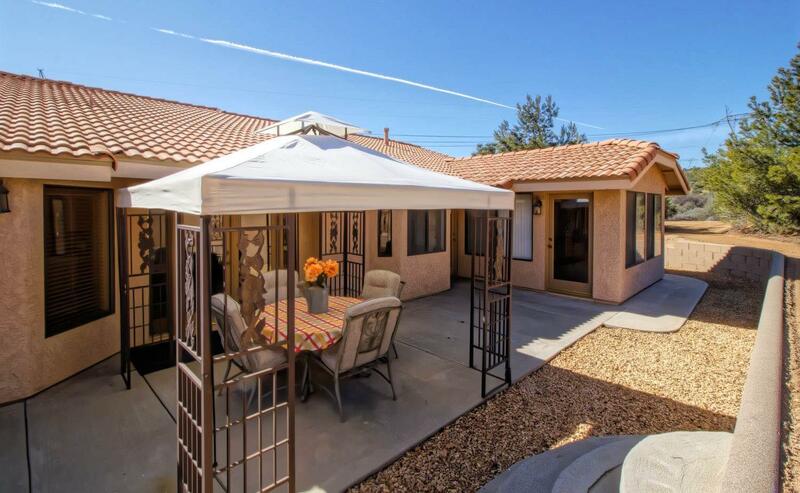 This beautiful light, bright & airy home boasts lots of windows & french doors with side lights, has many design features & custom details. 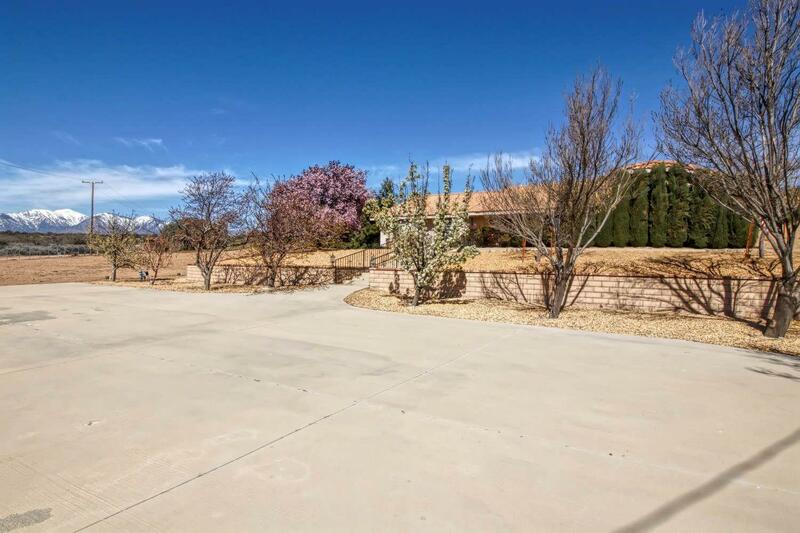 Huge upper and lower areas, lots of concrete, offer room for additional structures and RV parking. 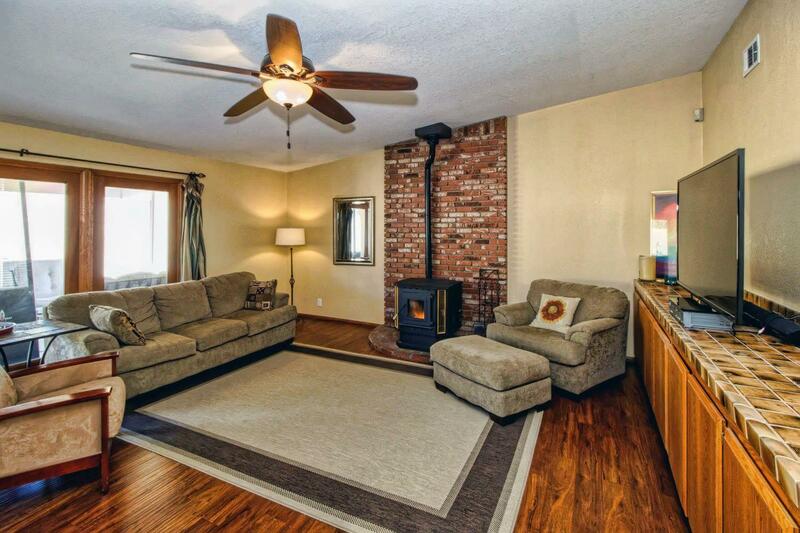 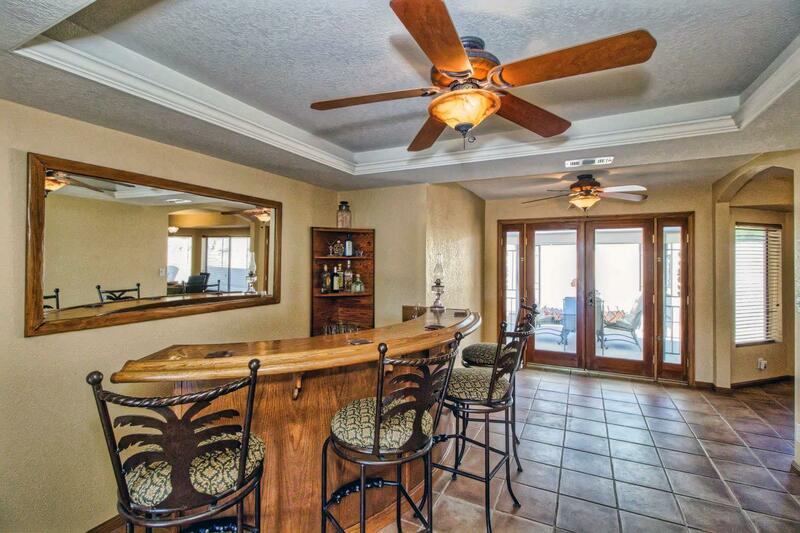 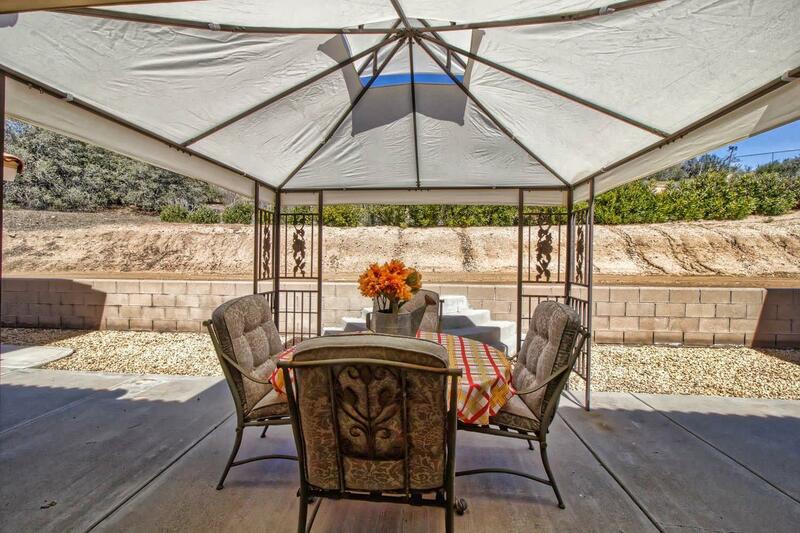 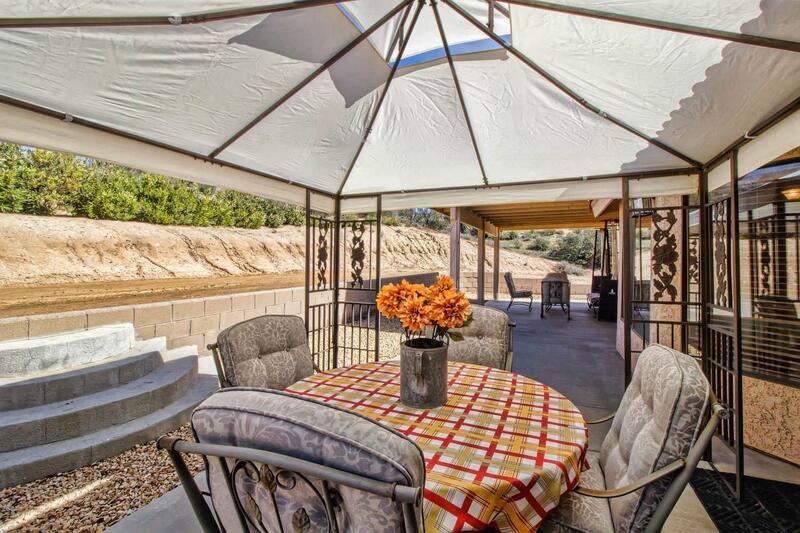 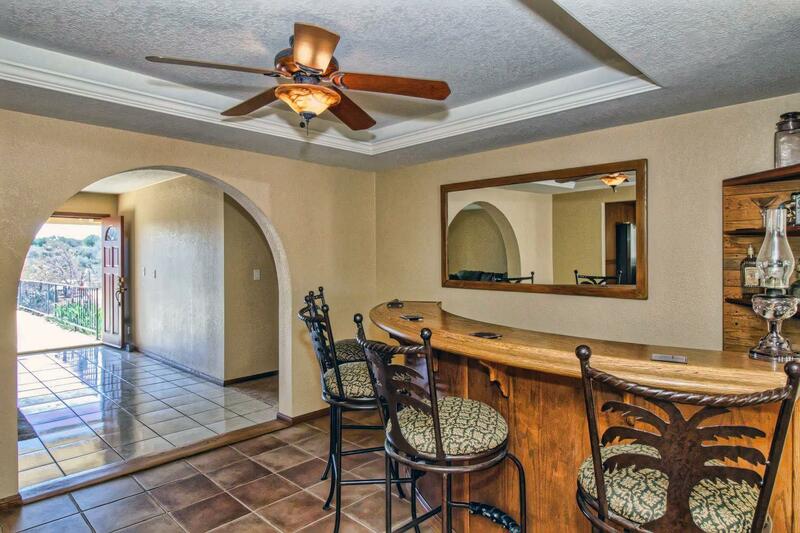 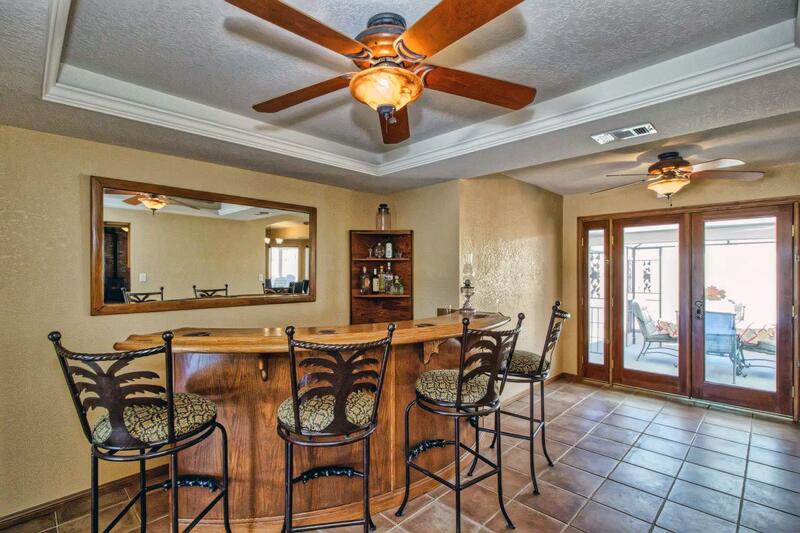 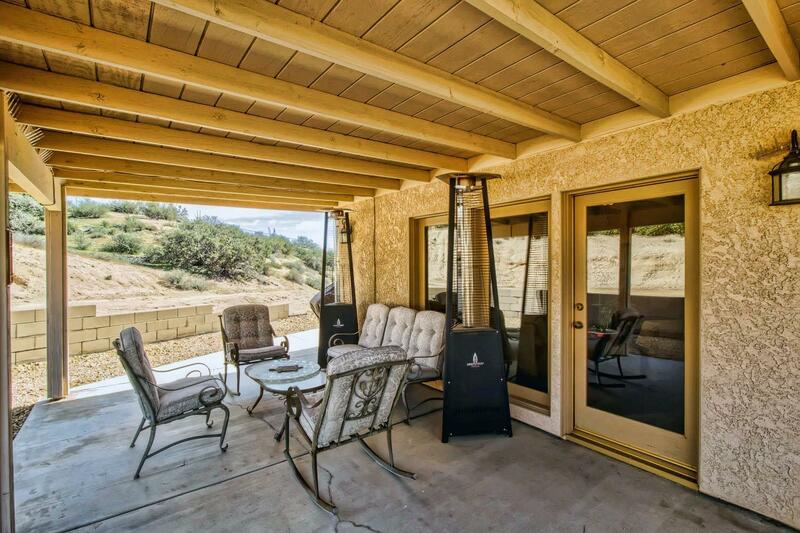 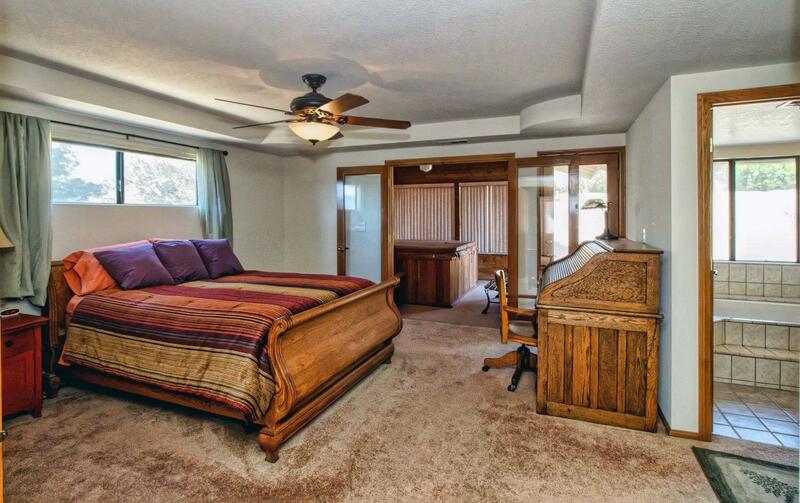 Large front patio and covered rear patio both with retaining walls have majestic mountain views. 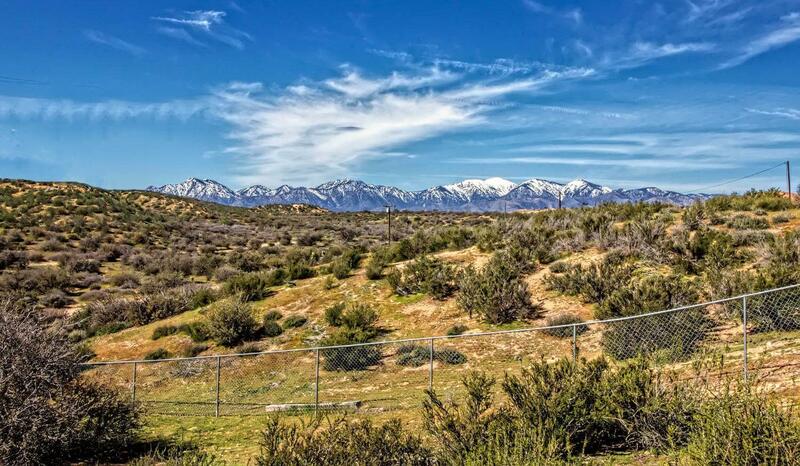 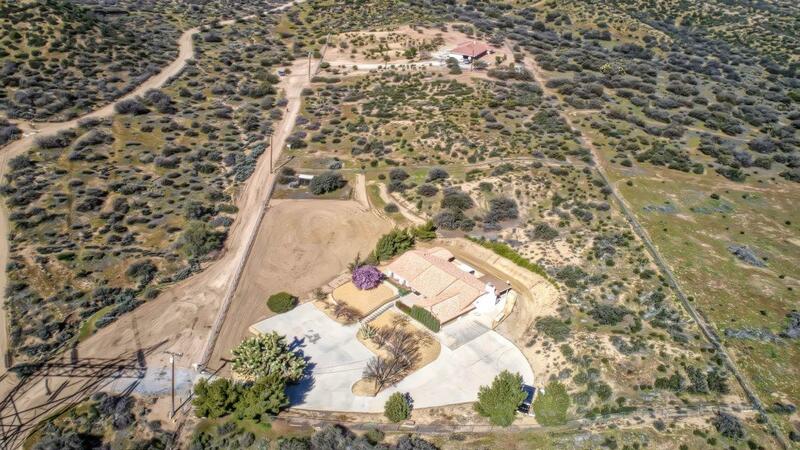 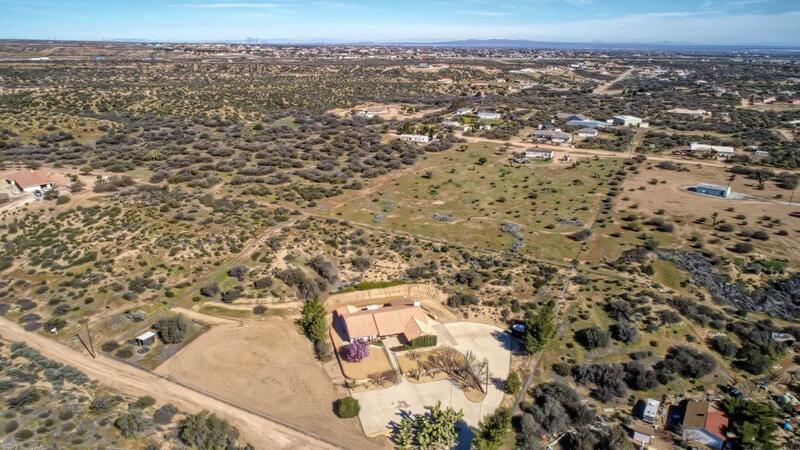 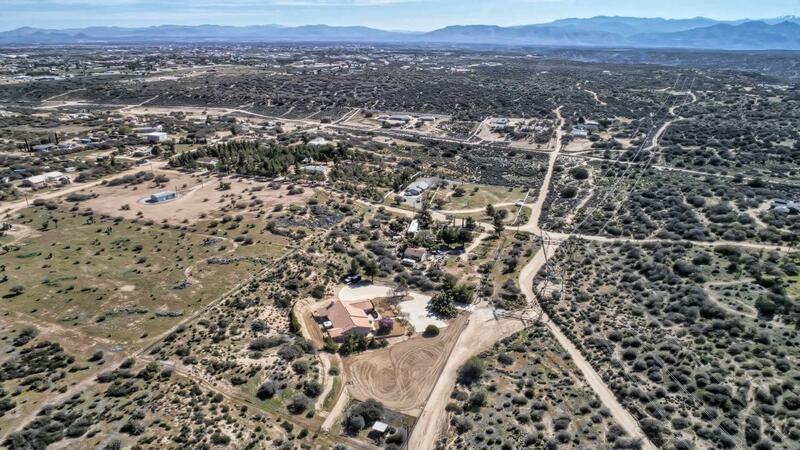 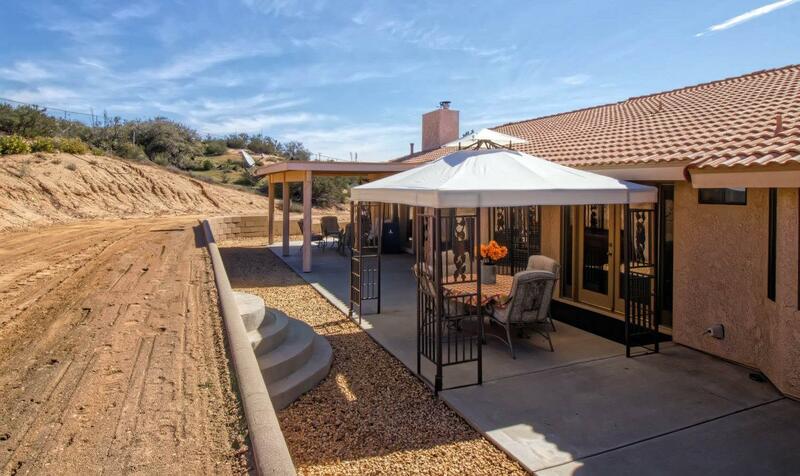 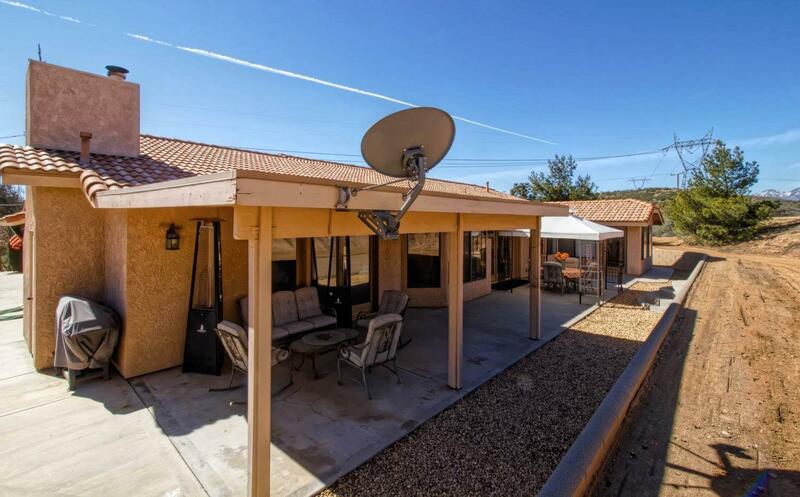 This unique 2.25 acre property is fully fenced for pets or livestock, is terraced for wind protection and privacy, with water and power in 2 outer areas to easily set up for horses. 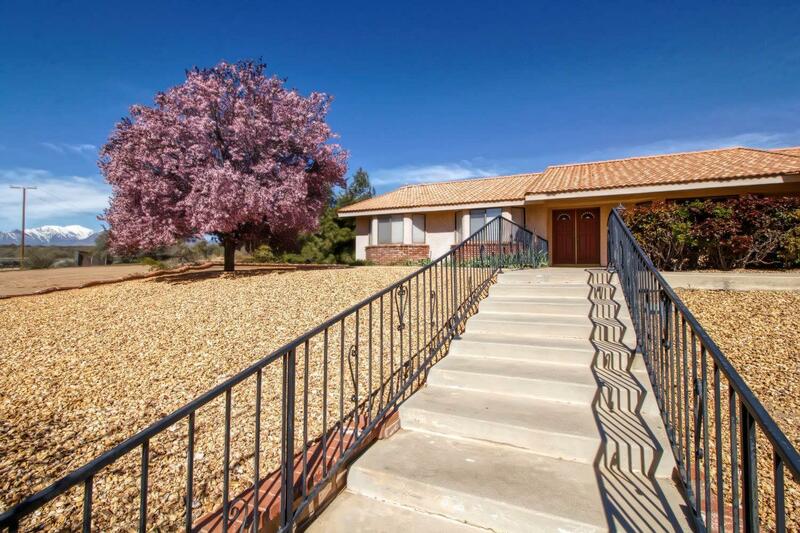 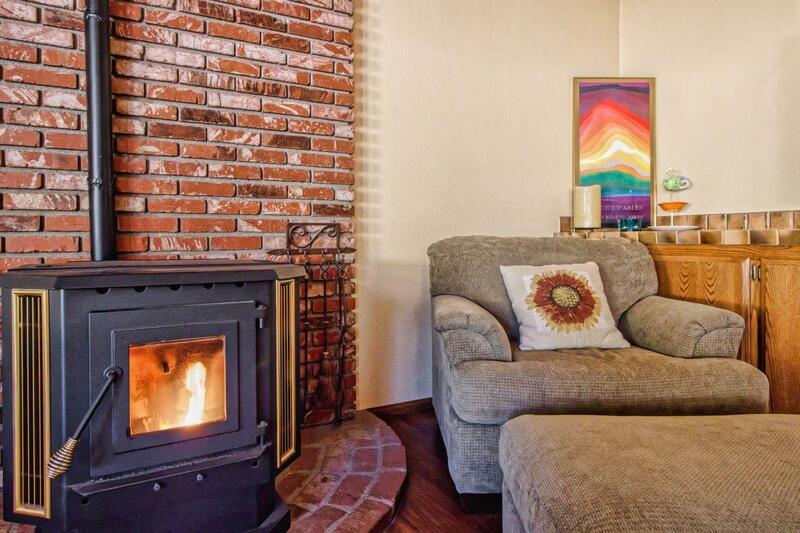 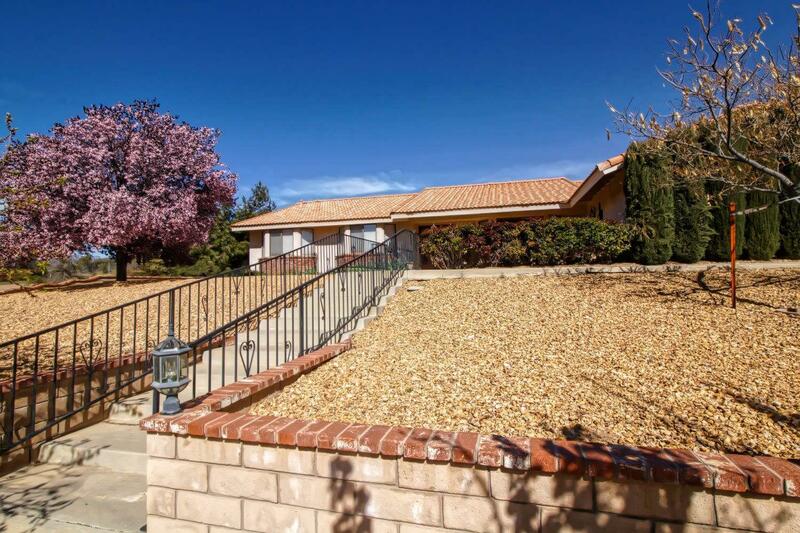 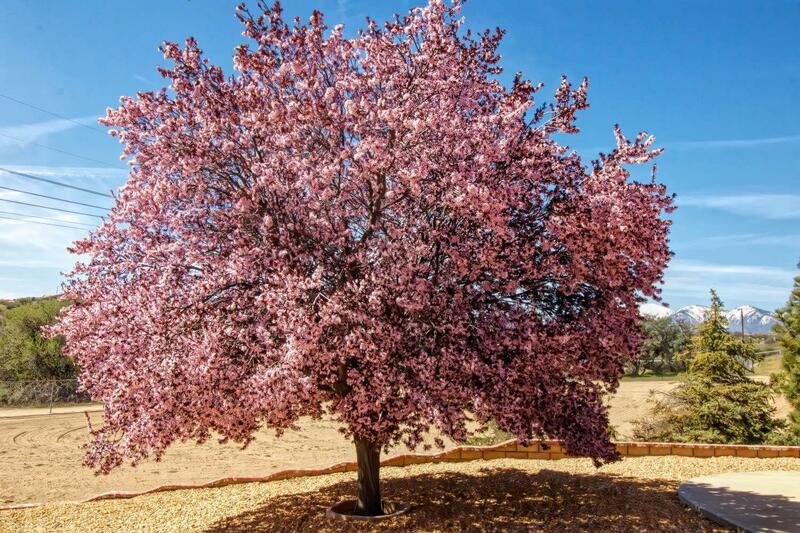 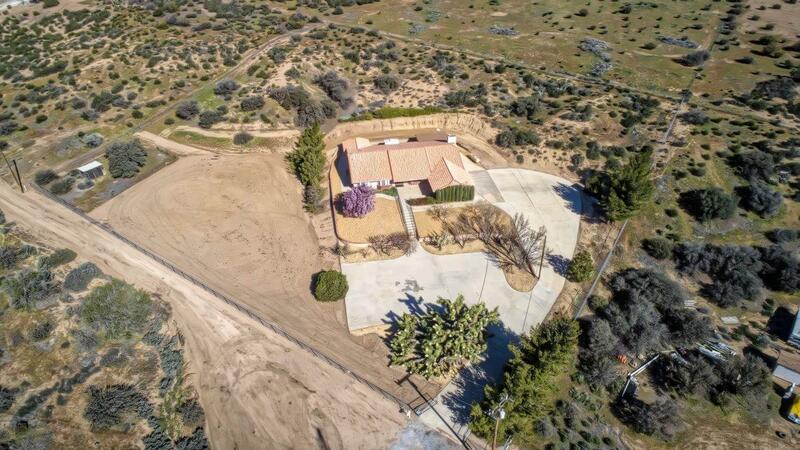 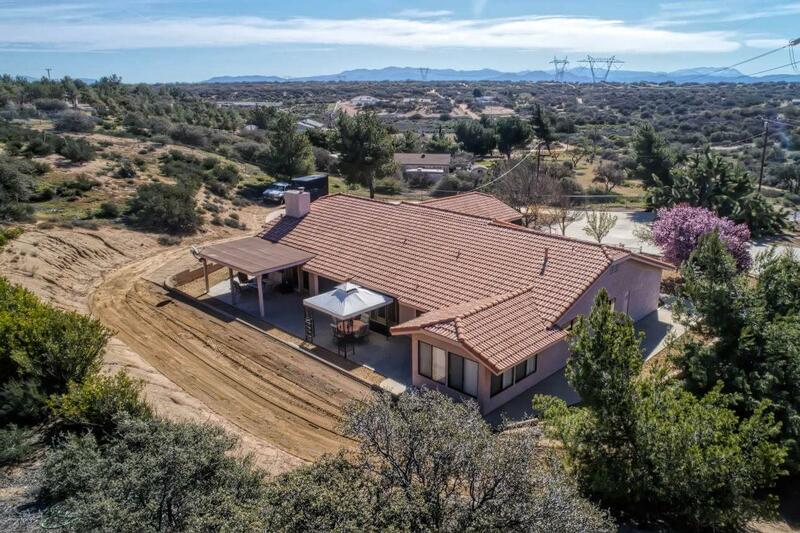 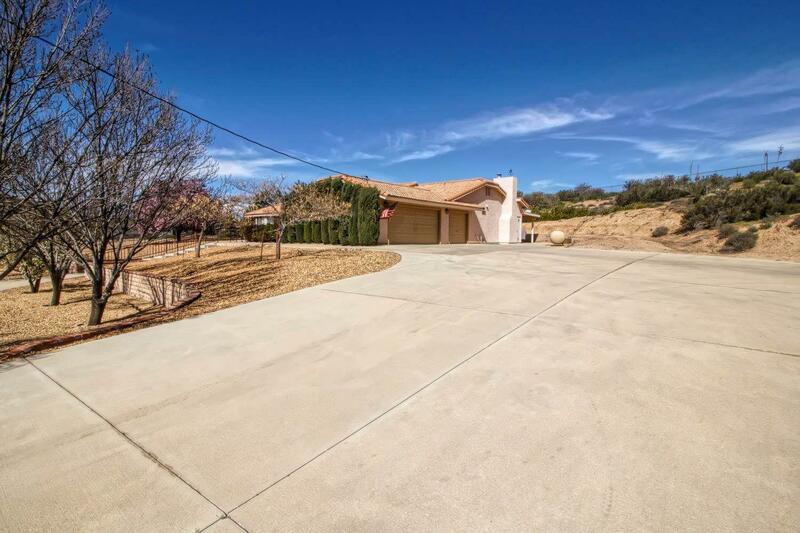 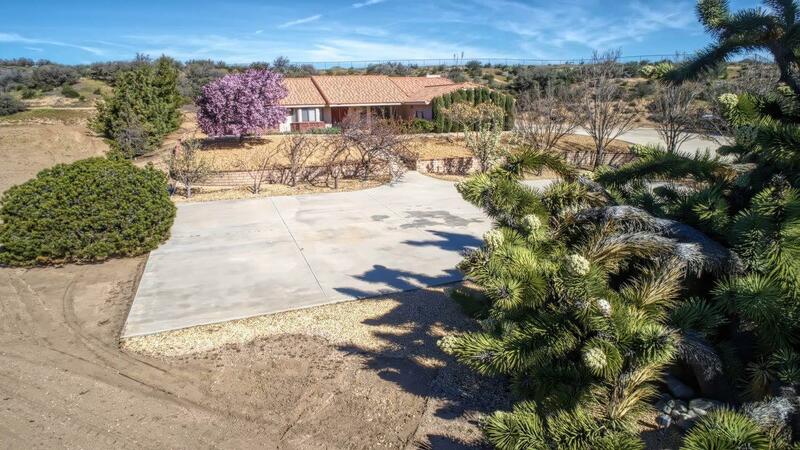 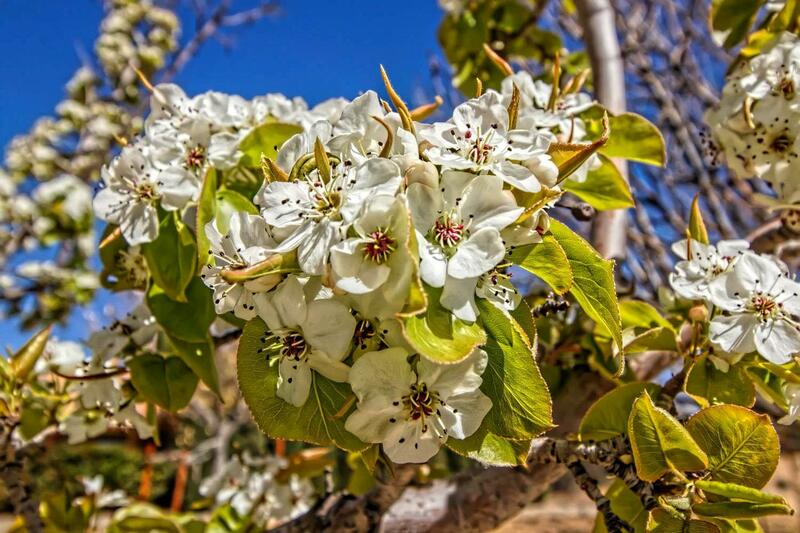 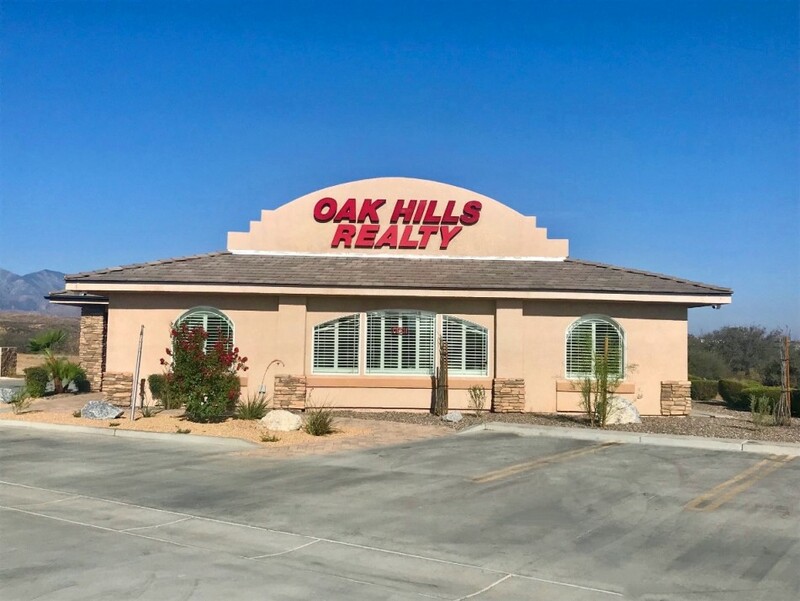 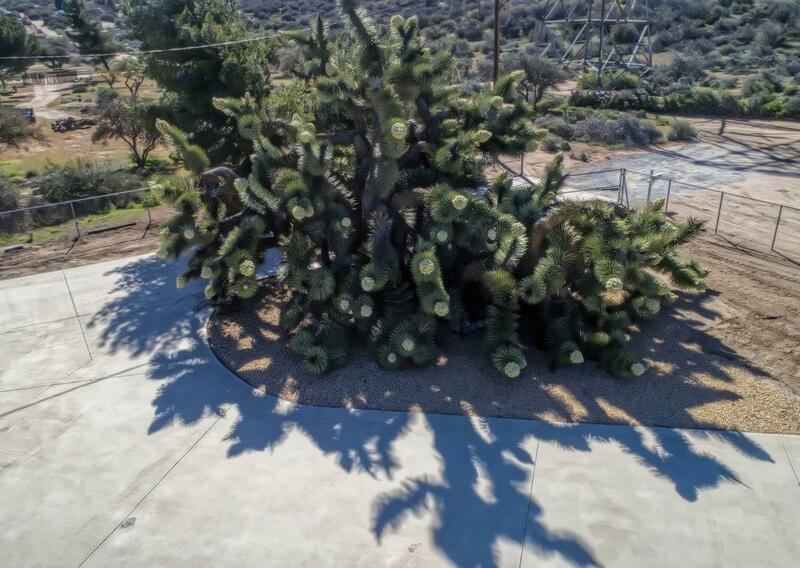 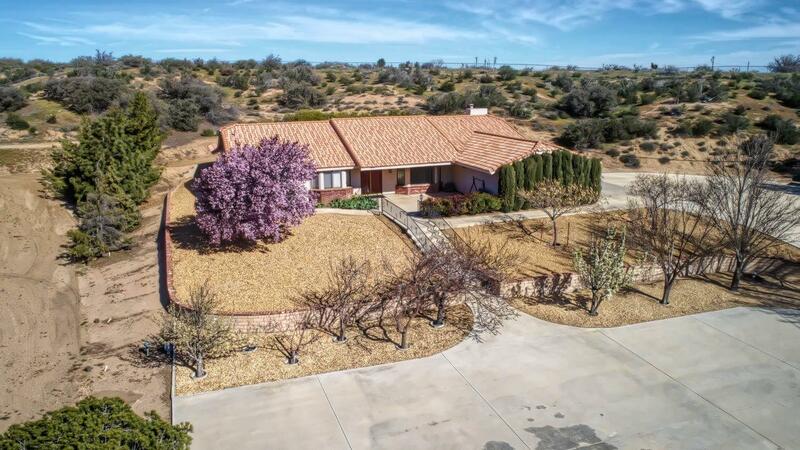 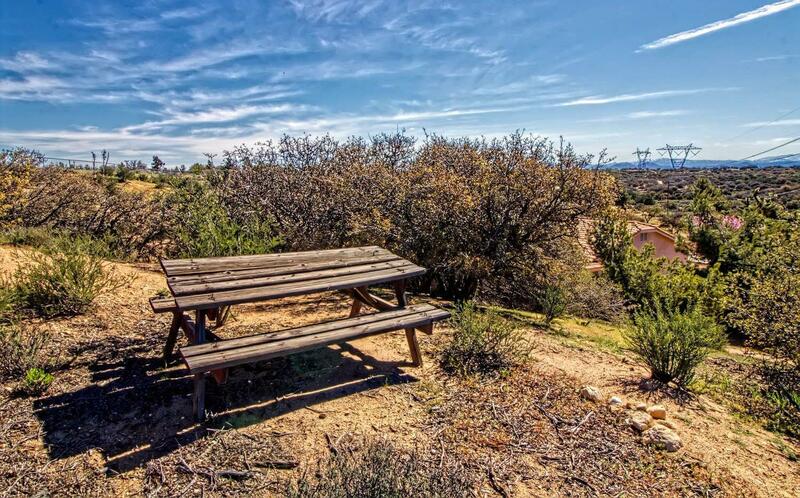 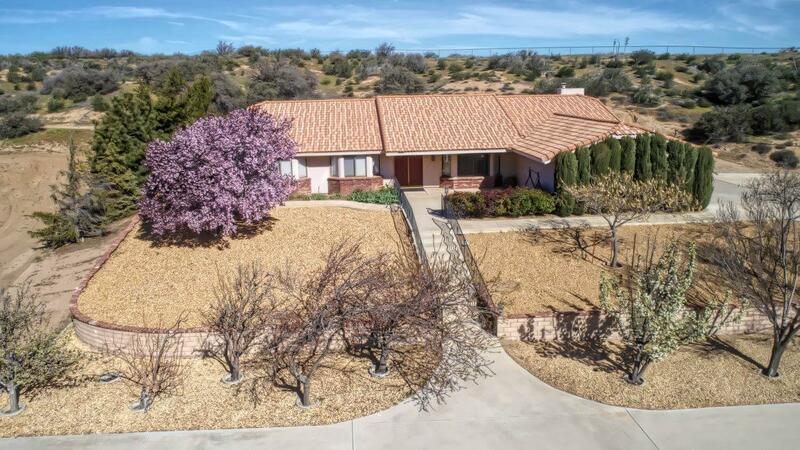 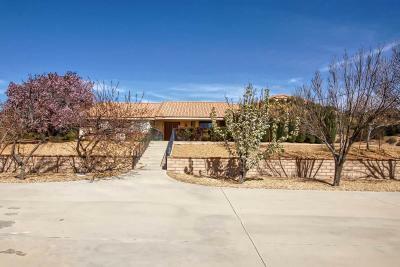 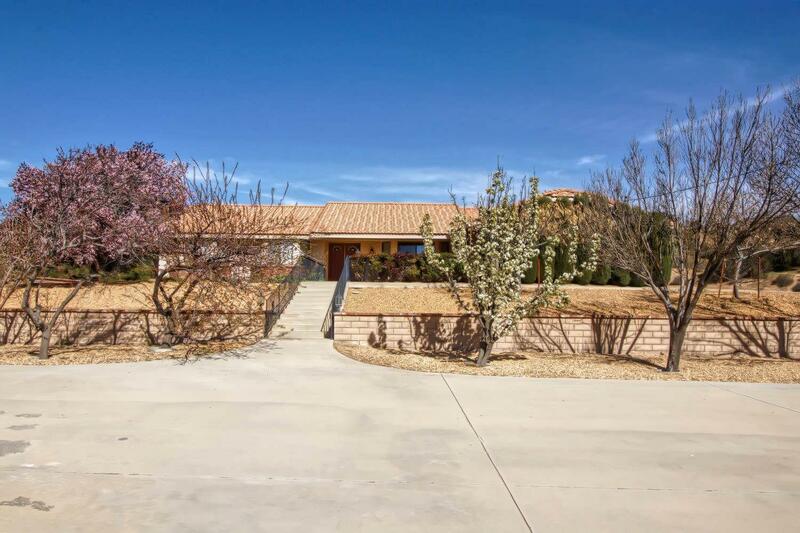 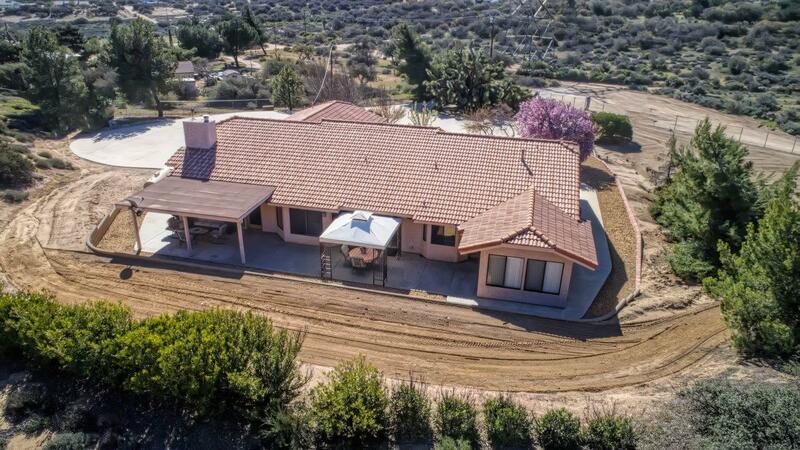 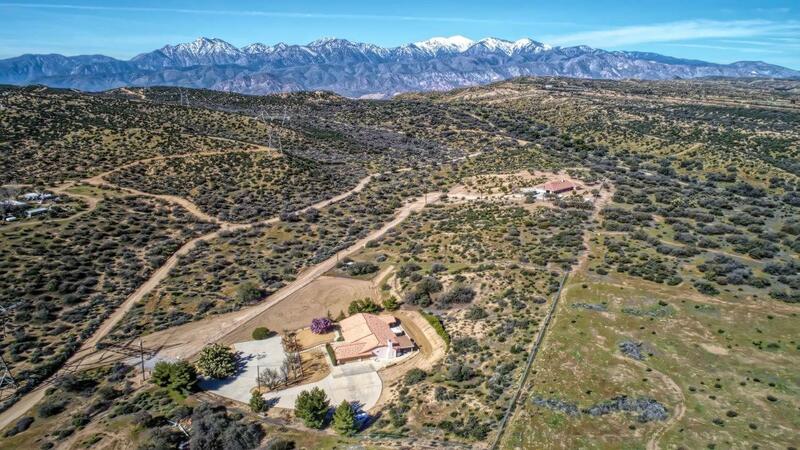 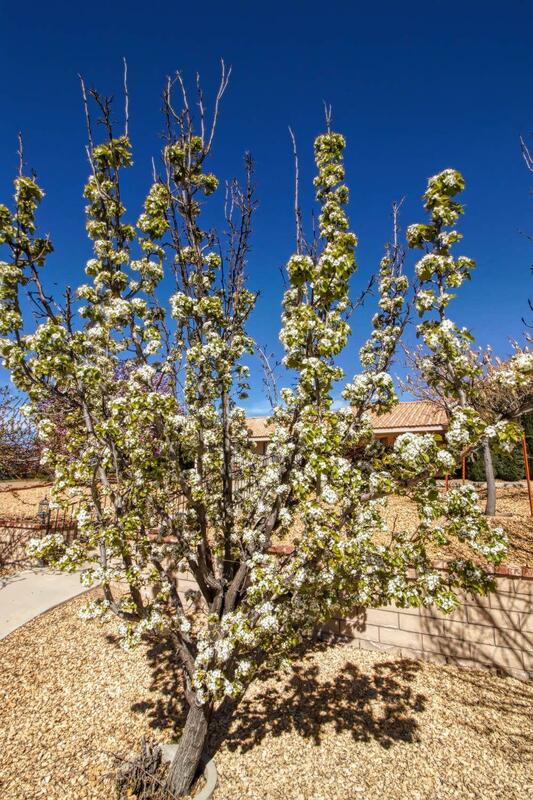 Nicely landscaped with mature fruit and pine trees, drought resistant exterior rockscape, all in the county area, translating to lower taxes, insurance and utilities. 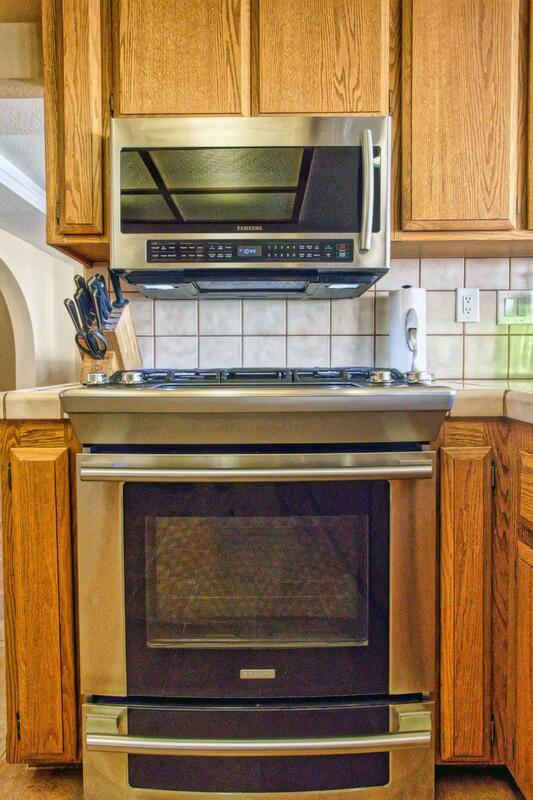 Located in the prestigious Snowline School District, this lovely home's open floor plan has a flow through kitchen with quality STAINLESS appliances & italian tile flooring, family room with cozy, efficient pellet stove, oversized bedrooms with bay windows, formal living room with bay window, vaulted, coffered and tray ceilings updated lighting and fresh paint throughout. 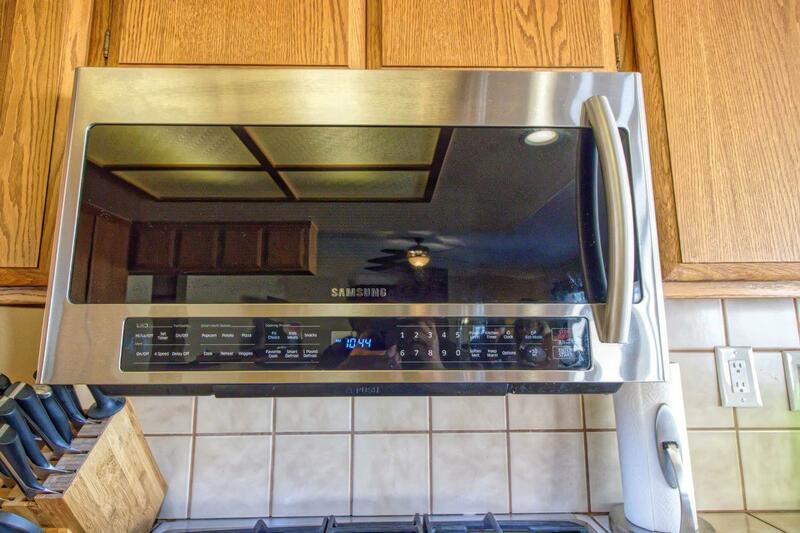 Has newer forced air unit and dual water heaters so no waiting. 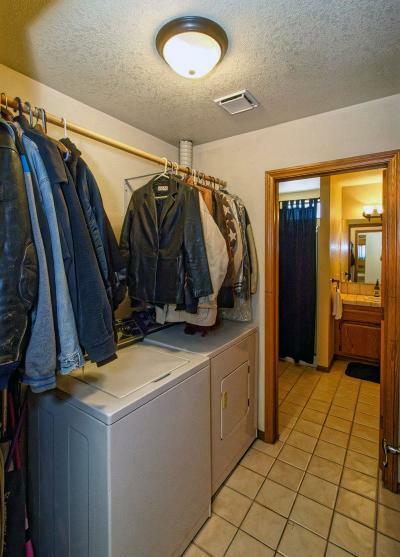 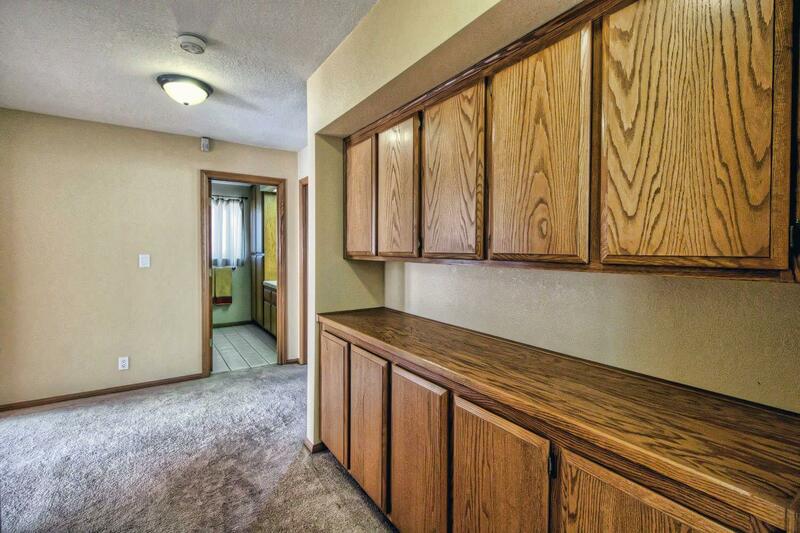 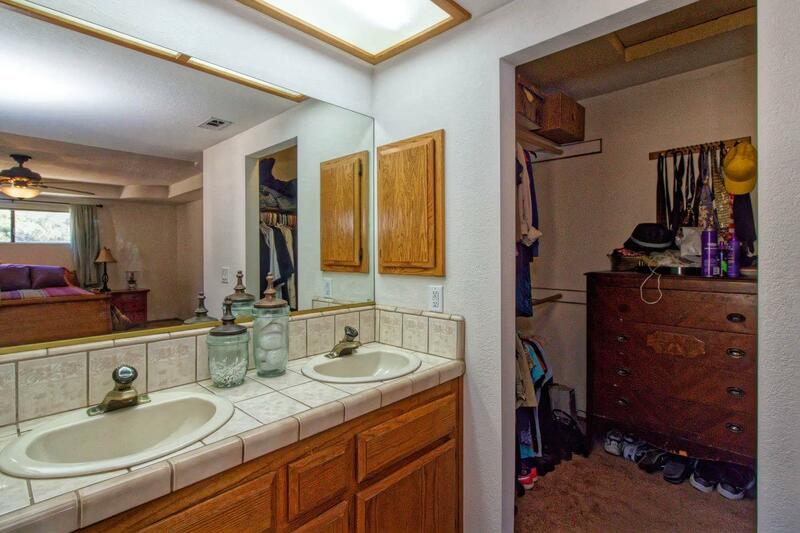 Laundry room has a 3/4 bath, perfect for rural lifestyles. 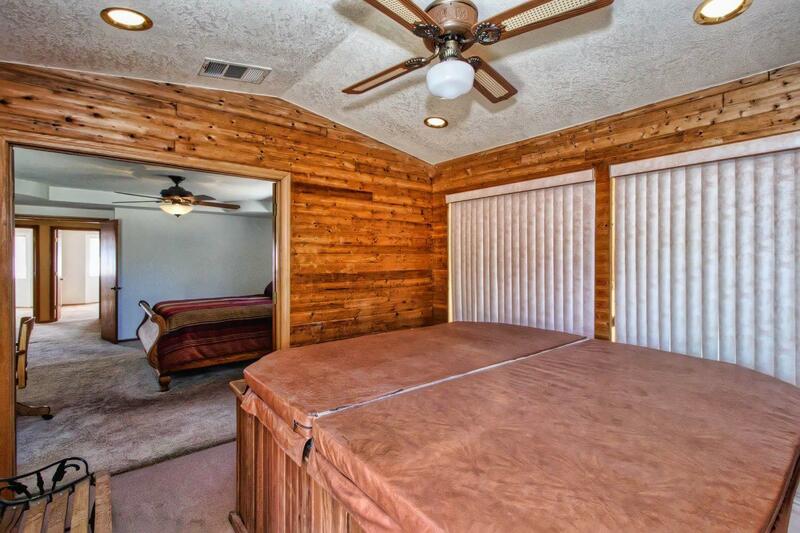 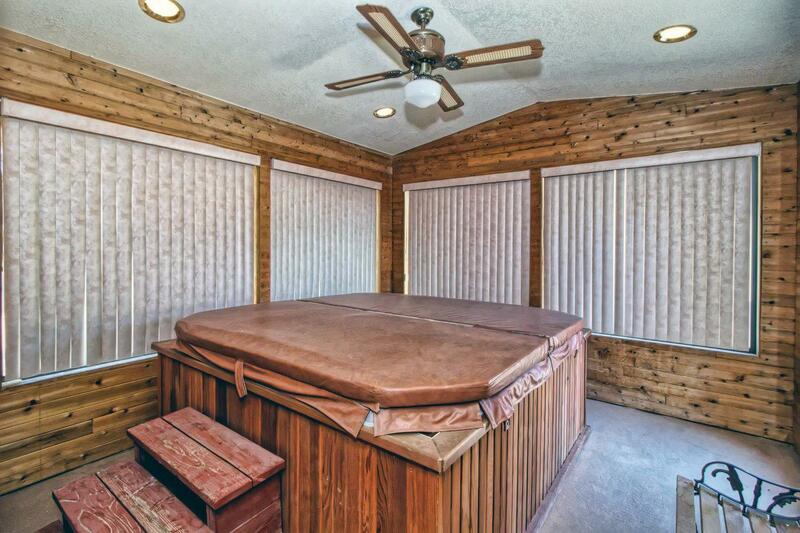 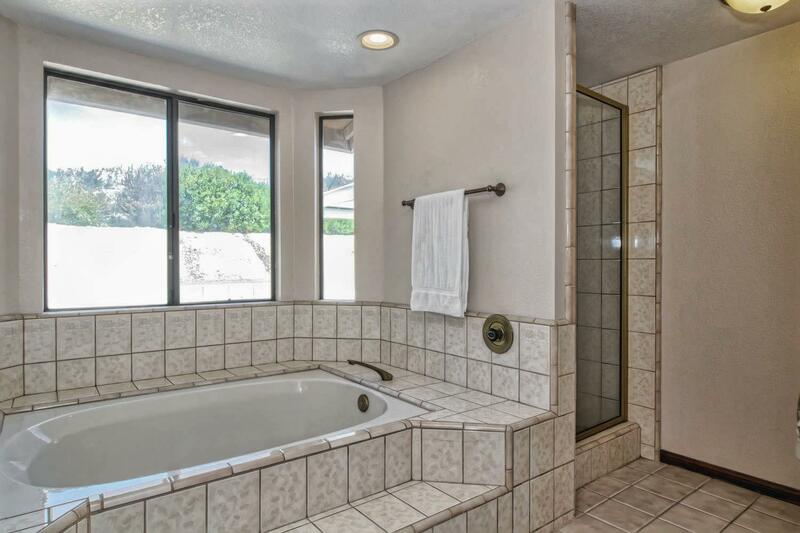 Relax in your private indoor hot tub after a long day of work. 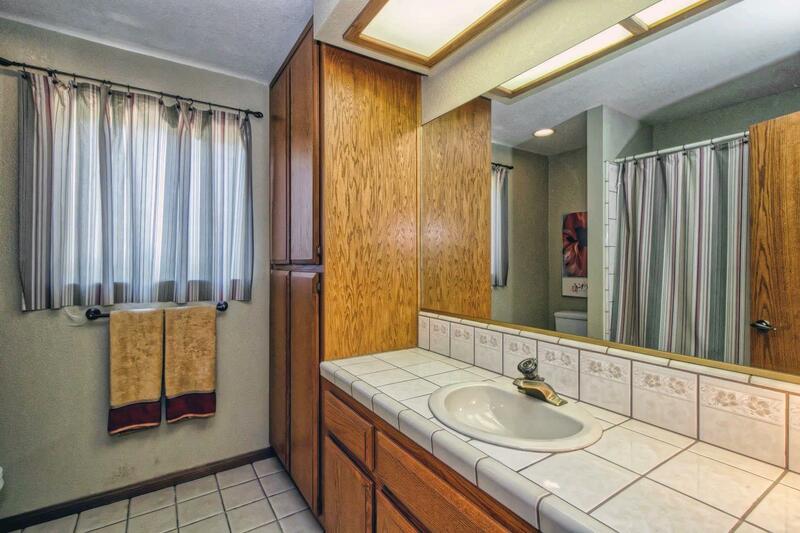 So many custom touches. See it today! 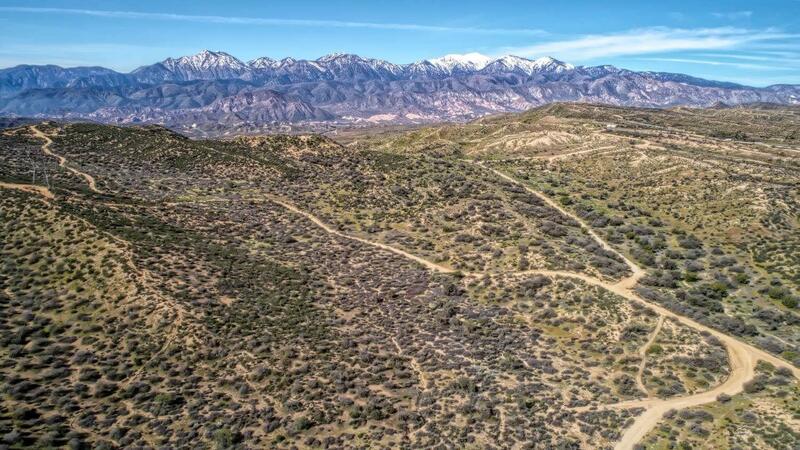 Directions: From Mariposa Follow Signs, East On Lantry, Right On Coleridge, Left On Medlow, Right On Casita (Summit Truck Tr), Right On Edgehill/Forestry, Past Honeyhill, Piq On Right. 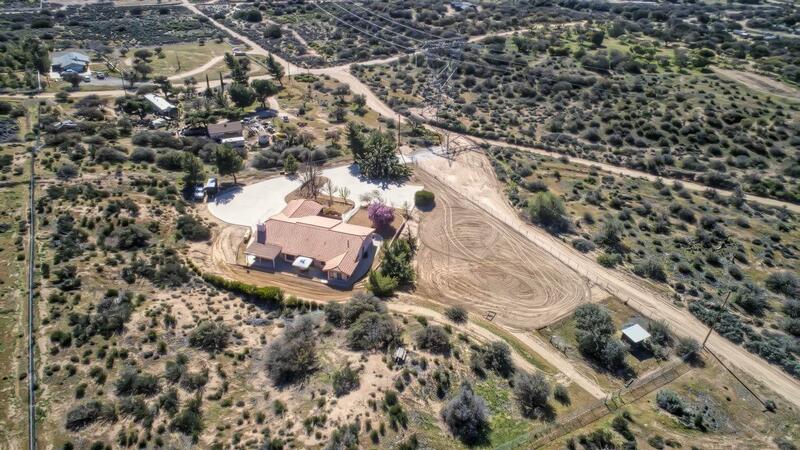 Gps Ok.